After an extensive remodel and menu revamp, this Eau Claire classic Pan-Asian eatery reopened in 2018. Local favorites like the "Strange Flavor" chicken, crispy duck, and coconut curry shrimp make a return, along with a handful of newer dishes sure to become classics. The sushi bar serves favorites like the Crazy Monkey and Pretty Pretty Princess rolls. The popular happy hour sells sushi at reduced prices, wok bowls, and half price taps, cocktails, and more. The newly revamped Shanghai Bistro has a classic bar great for enjoying beer, wine, or any of their specialty cocktails with a plate full of crab rangoon. 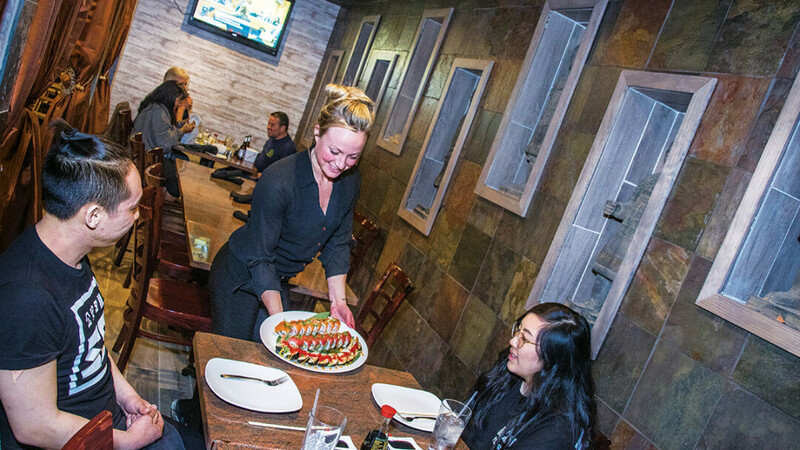 Check out their Sushi Bar for a late night or happy hour way to enjoy their signature sushi rolls made live and with a bit of flare.